The Daily Mail newspaper archive from 1896 to 2004 is now available online and contains a wealth of stories about amateur radio and amateur radio satellites such as UoSAT-1 (also known as UoSAT-OSCAR-9 or UO-9) built at the University of Surrey in Guildford. The amateur radio satellite UoSAT-1, built by Martin Sweeting G3YJO and his team, featured in a Daily Mail story The men who put a dream in space published Tuesday, October 13, 1981. The story is written with a sexist slant, sadly all too common at the time, saying “Every schoolboy can circle Earth with the Guildford satellite”. Apparently the Daily Mail didn’t want schoolgirls to listen to the satellite. One of the many amateur radio stories the newspaper published is Amateur Radio Triumph that appeared on Friday, November 16, 1928. It describes the first Transatlantic contact between the UK and the USA which took place on the 28 MHz (10m) band. Try searching for Amateur Radio or UoSAT or Marconi. You can save the stories to your PC by selecting 100% zoom then doing a right-hand mouse click on the story and selecting Save Image As in Firefox or Save Picture As in Internet Explorer. The original TV news reports about the United Kingdom’s first Amateur Radio satellites, UOSAT-1 (OSCAR-9) and UOSAT-2 (OSCAR-11), can now be seen on the web. In ‘Talking Satellite’, made February 15, 1983, Martin Sweeting G3YJO talks about OSCAR-9 and its speech synthesizer. In ‘British Satellite’, made February 7, 1984, Martin Sweeting G3YJO talks about OSCAR-11 due to be launched the following month. OSCAR News is published quarterly by AMSAT-UK and posted to members. 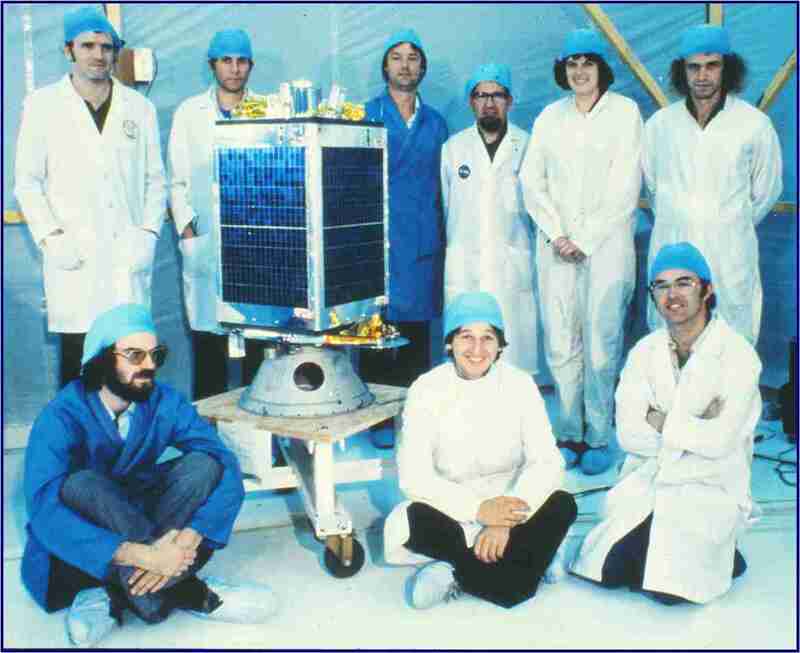 Surrey Satellite Technology Limited (SSTL) celebrated the 30th anniversary of the launch of Surrey’s first satellite, UoSAT-1. 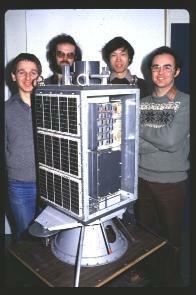 Launched into orbit on October 6, 1981, UoSAT-1 was designed and built by a team from the University of Surrey led by SSTL founder Sir Martin Sweeting, G3YJO. UoSAT-1 was also known as UoSAT-OSCAR 9. It was a scientific and educational low-Earth orbit satellite containing many experiments and beacons but no amateur transponders. UO-9 was fully operational until it re-entered October 13, 1989 from a decaying orbit after nine years of service. + It carried a CCD camera, a Digitalker speech synthesizer, and transmitted telemetry data on a 145.826 MHz beacon at 1200 baud using asynchronous AFSK. + UoSAT-2 was designated as UO-11 which can still be heard operating on 145.825 MHz with a beacon transmitting 1200 baud using asynchronous AFSK. + UoSAT-3 was designated as UO-14 (no longer operational) and featured an FM Voice Repeater with 145.9750 MHz uplink and 435.0700 MHz downlink.